okay, sorry to brag but it totally deserved it's own post!! 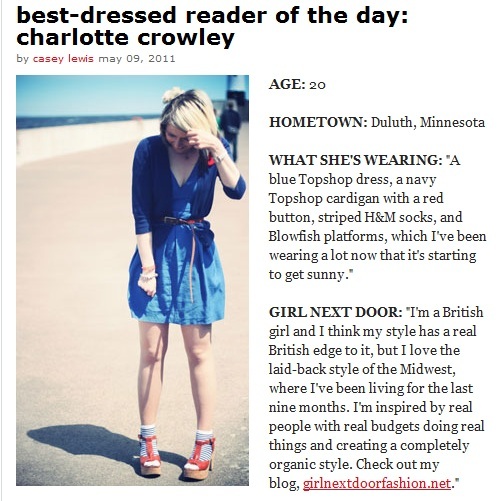 I'm the best dressed reader of the day over at Teen Vogue. Yay!! I am so shocked and thrilled at the same time!! Yayyy!! oh snap! Congrats! That is pretty awesome stuff. Congrats!!! What an honor! You look beautiful! wow I'm behind. this is so cool!!!!!!!!!!!!!!! !